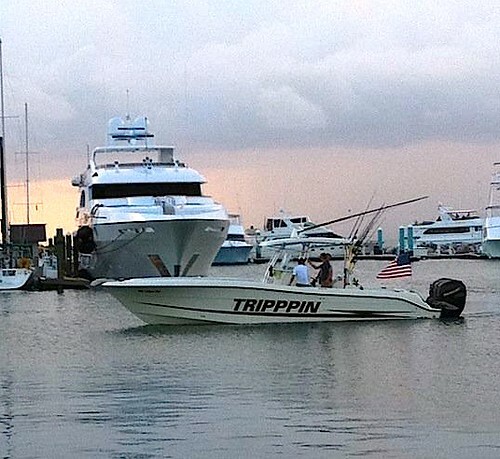 I guess it would make sense to take a minute and tell you about our boat Tripppin. 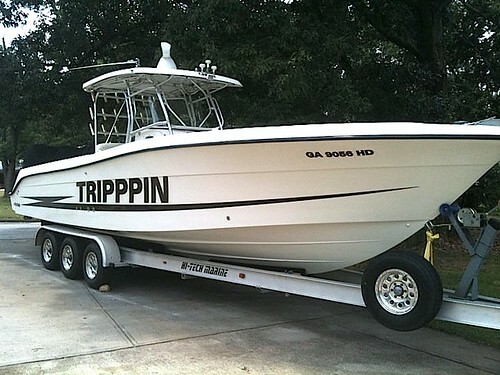 Tripppin is a 2004 Hydra Sports Vector 33 with triple Mercury 275 Verados. The engines are 06′ models and were hung on the boat after the original owner tossed the 300 HPDIs that came on her from the factory in Tennessee. 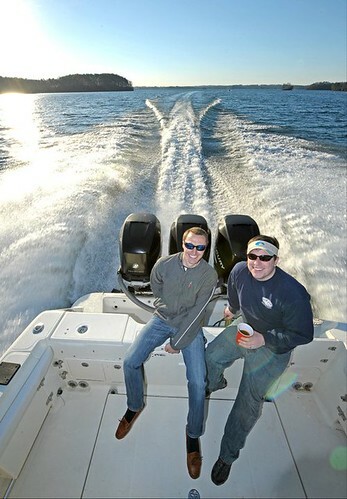 We (my business partner/best friend and I) bought the boat by total chance off eBay on New Years night in 2010. Owning a boat with triple 275 Verados seemed like a good idea after a few cocktails, and we’d been looking for a new ride for months. We placed a bid that night, and hit the road to pick her up a few weeks later. 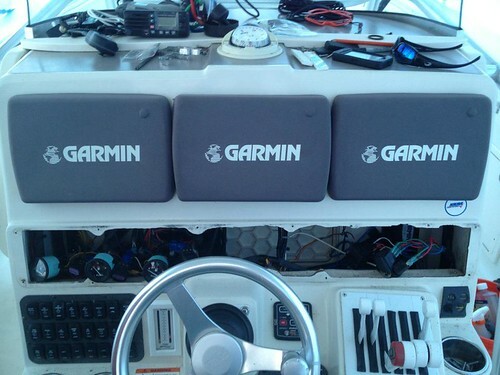 This was our first major ($ wise) boating investment, and we were all pretty nervous. 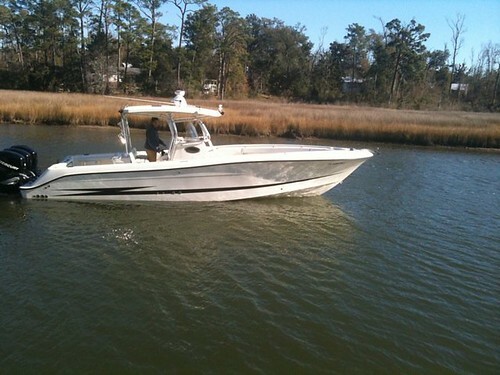 The nerves calmed when we pulled into Biloxi the night before we arranged to pick up the boat. A few hours at the Craps table, and we were all ahead enough to feel good about the day. The next morning, we met up with the seller, took the boat out into a nasty windy, choppy bay and stretched her legs. The Hydra is extremely dry and comfortable, and the appeal for this large a a boat was being driven by our vacations including more and more friends over the years. You spend enough time on a boat with dive and fishing gear all over the deck, and you’ll realize that a boat is almost never too large. We’d also wanted to try our hand at some real island hopping and the Hydra was well equipped to handle the job. One the way home we (Lane) decided to name her Tripppin (3 Ps) for many reasons, but the most obvious was our intentions to take the boat on a lot of trips and the other small fact that we were probably tripping when we thought of buying a boat like this. We spent a lot of time upgrading her navigation systems, truing up the electrical system and getting the Verados up to snuff but it was all worth it. I’ve owned/co-owned numerous popular brands like Fountain, Donzi, Proline and so on, but the layout and usability of the Hydra is unbeatable. Read about our latest adventure in Tripppin here, http://wp.me/pKtoE-9N.